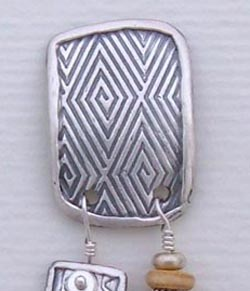 These handcrafted earrings are entirely hand formed by me using .99% pure silver, also known as Fine Silver. 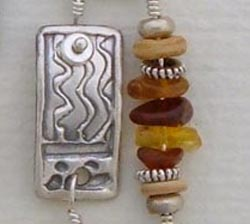 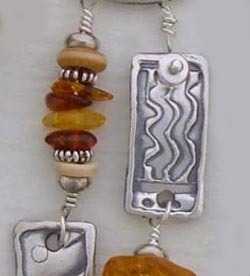 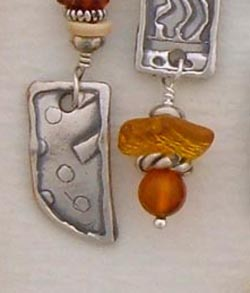 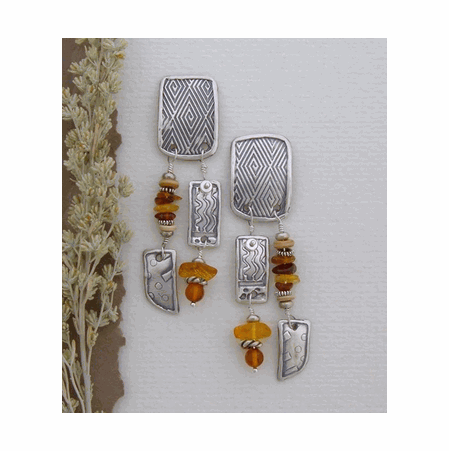 I'ved added baltic amber of various shades, carved horn and sterling silver beads for the perfect combination of accents. 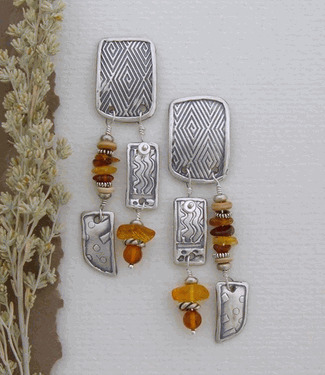 The neutral colors make these earrings suitable for any time of the year.